Do you hear that? 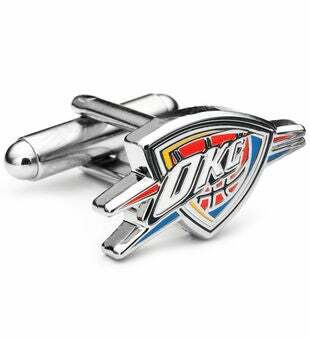 It sounds like the official logo of the Oklahoma City Thunder arriving for your workweek wear. Formerly the Seattle SuperSonics, now you can sport the new OKC Thunder even on the days when painting your face is simply not an option. Cufflinks by Cufflinks, Inc.